It’s a Sunday so why not look at something in the philosophy of religion? Wes Morriston has a new paper out challenging the remarkable willingness of some Christian philosophers to defend the more morally questionable passages in the Old Testament. I covered one of his earlier papers on this topic a while back. That was when I was relatively new to this whole blogging thing and I figure there’s no harm in taking a second look at the topic. On the face of it, the paper is relatively straightforward. Morriston criticises three sets of Christian responses to the passages in the bible in which God seems to condone or command genocide. First, he criticises the likes of William Lane Craig, Paul Copan and Richard Swinburne, who seem to support the biblically cited reasons for genocide. Second, he will criticise the likes of Eleonore Stump, who suggests alternative moral justifications for the genocide. And third, he will criticise the skeptical theist response to these cases. Unfortunately, the resulting article is a bit messier than that initial description suggests. The actual discussion doesn't follow the structure set out at the beginning in the logical fashion that I would like, and Morriston sometimes fails to properly specify the nature of his criticism against the various Christian responses. This is something I’ve encountered in several other articles by Morriston, which is a shame since he invariably has good insights into the issues he discusses. Anyway, I’ll try to follow Morriston’s structure as best I can here, feeling free to elaborate on certain points where I think this helps the overall argument. In this post, I’ll be looking at Richard Swinburne's attempt to justify the Canaanite genocide. Subsequent posts will cover different passages and different justifications. Note: most of the references in Morriston's article are to the book Divine Evil? The Moral Character of the God of Abraham (Oxford: OUP, 2011). For example, the discussion of Swinburne's argument is based on passages from this book. Anyone who has been following the philosophical debate over these biblical passages over the past few years will, no doubt, be familiar with the details of the Canaanite genocide. Canaan was, roughly, the land that was bequeathed to the Israelites by Yahweh. The Canaanites were the people occupying that area of land before the Israelites, led by Moses and Joshua, invaded. This was following their exodus from Egypt and their inexplicably long period of desert-wandering. The genocide is presaged in several passages in the book of Deuteronomy, Moses (acting as always with the backing of Yahweh) tells his people that when the time comes Canaanites are to be utterly destroyed, that they are to “make no covenant with them” and “show them no mercy” (Deut. 7:1-2). There is, however, a distinction to be drawn between the inhabitants of the nearby Canaanite cities (those given to the Israelites) and the inhabitants of the faraway cities. In the case of the latter, all the men are to be killed while the women, children, livestock and other goods are to be taken as booty (Deut. 20:14-15). In the case of the former, the Israelites are not to “let anything that breathes remain alive” (Deut. 20:16). Of course, if some are to be believed (namely: Paul Copan and Matt Flannagan), all this reckless talk of extermination is mere hyperbole and not to be taken seriously. We should feel about it much the same as we should when you say that you are going to “kill” your boss following a particularly stressful day at work. The hyperbole defence is not discussed by Morriston so, if your interested, check out the relevant passages of Thom Stark’s book-length rebuttal of Paul Copan on this. Briefly, as Stark points out, the hyperbolic language in the bible mimics the imperialistic propaganda that was common in the Ancient Near East (ANE). Texts of this sort would have to have been read to (or recited to) the people by the elites who could read and write. It cannot be taken for granted that they would convey it in a nudge-nudge wink-wink manner or, indeed, that it would be understood to be hyperbolic by those who were hearing it. It is more likely that this language was used to encourage tribal or nationalistic loyalties. There’s a more general point to be made here too. According to leading biblical historians, the genocidal events depicted in the bible are unlikely to have taken place. Morriston and other critics would be happy to accept this view — indeed, I’m happy to believe that most of the bible is fictional. But this would do nothing to lessen the force of the criticisms being made here. After all, the concern here is with the moral character of the being depicted in the bible, and with those who take the moral authority of the bible seriously. If you wish to bowdlerise the biblical text such that it can no longer have a claim to historical accuracy, or reject it’s moral authority completely, then that’s all for the good. Still, there are those who want to have their cake and eat it too; who wish to preserve both the historical accuracy and moral authority of the bible. How do they do so in the light of such seemingly morally abhorrent passages? The basic strategy is to argue that God had some morally compelling reasons for commanding or condoning the acts. You shall annihilate them…so that they may not teach you to do all the abhorrent things that they do for their gods, and you thus sin against the lord your God. (1) We would have prima facie moral reason to kill those with an infectious (physical) disease, if they refused to be kept isolated from the rest of the population. (2) Those with an infectious spiritual disease are in all important respects similar to (perhaps even worse than) those with an infectious physical disease. (3) Therefore, we would have prima facie moral reason to kill those with an infectious physical disease, if they refused to be kept isolated from the rest of the population. (4) If God commands us to act upon prima facie moral reasons, they become morally adequate reasons for action. (5) Therefore, if God commanded us to kill those with an infectious spiritual disease (who refused to be kept isolated), we would have morally adequate reasons for doing so. I should note that this is my own reconstruction of Swinburne’s argument. It is based on what I found in Morriston’s article, but you should know that Morriston himself is less formal in his analysis. Assuming my reconstruction is fair, how can this argument be challenged? We turn to that question next. I have several qualms about the analogy Swinburne uses to ground his argument. Most obviously and most importantly, it is not at all clear to me that “most” people would think it justified to kill someone with an infectious disease, even if that person refused to be kept isolated. I’d say we only have reason to kill such a person if all other means of preventing the spread of the infectious disease are unavailable to us. The mere unwillingness of the person to be isolated would seem insufficient. If we had a cure for the disease, then we should use that. If we can persuade the person to confine themselves in the interests of the greater good, then we should do that. If that fails, we should sedate and quarantine the person. Killing them would seem to be permissible in only the most extreme circumstances. This essentially undercuts the persuasive force of Swinburne’s analogy. There’s no reason to think that the spiritual disease afflicting the Canaanites was so bad that killing them was the only solution. If the problem is that they worship a false god (or group of gods), then surely presenting them with compelling evidence of the true god would “cure” them of their infection? It also seems to me that the analogy between what we have prima facie reason to do, and what God has prima facie moral reason to do doesn't work. If (under extreme circumstances) we do have permission to kill someone with an infectious disease, then I suspect it is only because we make our moral choices under extreme temporal and physical constraints (lack of resources to stop the spread of infection, lack of time to quarantine etc). God would not operate under such constraints; he would be bound only to the constraints of logical possibility. Thus, I see no reason to think God has even prima facie moral reason to command genocide. To these criticisms we can add two of Morriston’s. 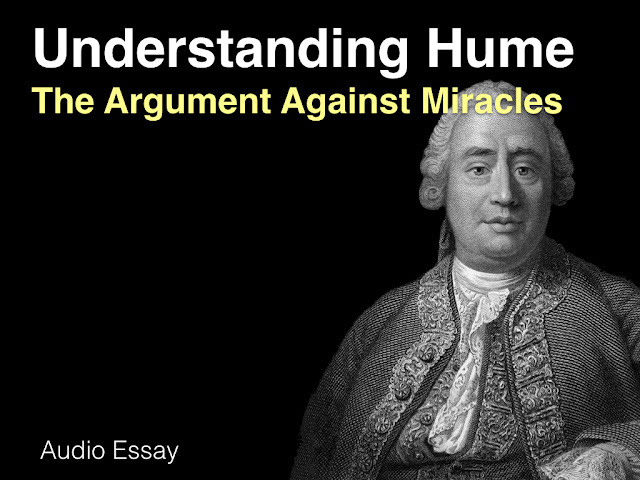 First, is his claim that Swinburne’s argument proves too much. After all, there are surely plenty of people alive today (perhaps myself included) who suffer from a contagious spiritual infection and who are pretty stubborn about trying to spread it around. Do we have reason to kill them too? Morriston thinks Swinburne has no principled reason to say “no”. (He returns to this point later in the article, and so too shall we). Second, he points out that even if eradicating a spiritual infection were grounds for genocide, the biblical text itself seems clear that genocide was not fit for purpose. The passage in 1 Kings that Swinburne uses to support the notion that the Canaanites engaged in ritual prostitution refers to a period long after the conquest of Canaan, and it suggests that the Israelites availed of such prostitutes at that later time. Indeed, in the biblical narrative the Israelites seem to repeatedly turn away from Yahweh only to turn back again later when some calamity is visited upon them. Given this alleged waywardness, it seems like genocide was not a good means to God’s desired end. We’ll leave it there for now. We’ll look at the rest of Morriston’s article later. So let me get this straight. They had done something morally reprehensible, namely child sacrifice so had to be wiped out. 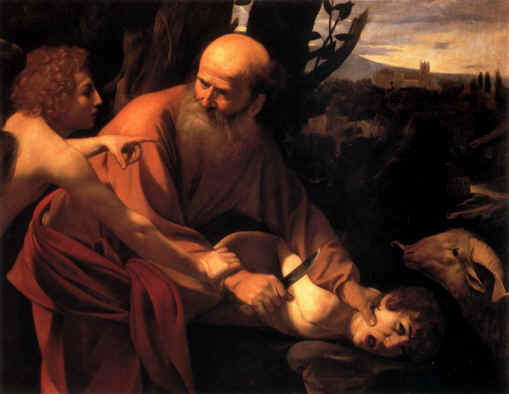 The name Abraham mean anything to these biblical scholars? sqlrob, There are more places in scripture where this logic prevails. Another is Jeremiah 19:9. Here God threatens people of a starvation so severe they will resort to eating their own children. The irony is in verse 5. It says they angered him, in part, by building "high places of Baal to burn their children in the fire". That's right, God punished people by forcing them to kill their children - because they killed their children. Why he preferred cannibalism to alter sacrifices is beyond me, except that the sacrifices were to Baal (a god that didn't even really exist). See also Deu 28:53, Lev 26:29, Ezekiel 5:10. It is a pleasure to have you back. The Gnostic Christians intuitively (through their personal experience approach to divine enlightenment) saw Yahweh of the Old Testament to be so reprehensible that their belief system incorporated the concept of the Demiurge (a kind of subsidiary creator god that more or less went ethically astray, essentially becoming a tyrant that was into excessive punishment for human weakness, demanding of heinous blood sacrifice, petty and petulant in character, etc., etc.). So a Gnostic view of Mt 11:37 "No one knows the Son except the Father, and no one knows the Father except the Son and anyone to whom the Son wishes to reveal him" is that up to the time of Yeshua humanity did not really know the true Father in Heaven. Further, from a Gnostic perspective, Mt 15:24 "I was sent only to the lost sheep of Israel" has a completely different connotation than the orthodox take in that it is an indication of how deeply mired the Jews are in their relationship to the Demiurge entity, Yahweh. Yeshua, born as a Jew, desired to concentrate on their spiritual emancipation first as they, in a sense, had the most urgent need for spiritual liberation. From the perspective of the 20th and 21st century, now that we know of ancient Summer and Akkad, from the scholarship of such as the O'Briens The Shining Ones, there is now a literal underpinning to the Gnostic concept of the Demiurge to be had. Where they came to their realization based on spiritual intuition, we now have a much more concrete basis to see that they were literally correct in his understanding. This article is an introduction to this line of examination: Heiser vs. Sitchin.